The World Health Organization (WHO) recommends that patients suspected for TB getting tested for TB should also be tested for HIV. Researchers from India conducted a study to observe how adopting WHO’s HIV/TB testing policy would affect the detection rates of HIV. The study was conducted in the Mandya district of Karnataka, one of the states with high HIV rates and the study findings are published in the recent edition of JAIDS. 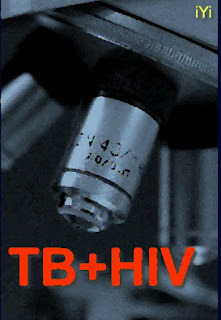 HIV testing was offered to 1668 patients tested for TB and 92% accepted and took part in the study. Of these 1539 people, 108 (7%) were tested positive for HIV. The researchers have analyzed that the clinicians would have to screen 37 TB suspected people for HIV to detect 1 HIV infection and would have to screen 13 TB patients in order to detect 1 HIV infection. The researchers have projected that, had this WHO testing policy been in place in the Mandya district in 2010, about 534 new HIV infections (51% jump) would have been identified. The study results underscore the significance in HIV testing for those suspected for TB and demonstrate a major opportunity for improved HIV case finding. Since patients suspected for TB are an easily accessible population at health care facilities, co-testing for HIV would significantly improve the HIV case detection and the Indian policy makers should explore the possibility of implementing this in states with high HIV prevalence. Naik B, Kumar Mv A, Lal K, Doddamani S, Krishnappa M, Inamdar V, et al. HIV Prevalence Among Persons Suspected of Tuberculosis: Policy Implications for India. Journal of Acquired Immune Deficiency Syndromes (1999). 2012 Apr 1;59(4):e72–e76.